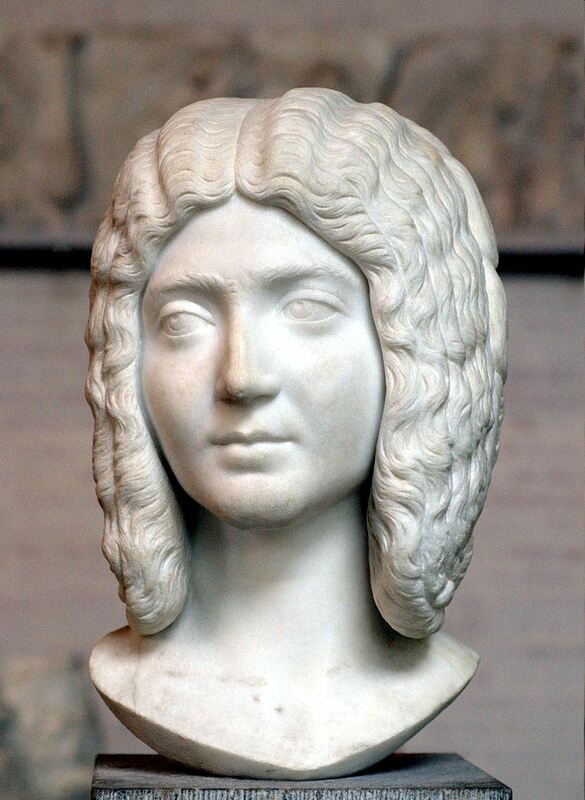 Iulia Domna was Empress consort of the Roman Empire, being wife to the Roman Emperor Lucius Septimius Severus and mother of Emperors Geta and Caracalla. When her remaining son Caracalla was assassinated and succeeded (briefly) by Macrinus, Julia chose to commit suicide after hearing about the rebellion. A decision perhaps hastened by the fact that she was suffering from breast cancer.